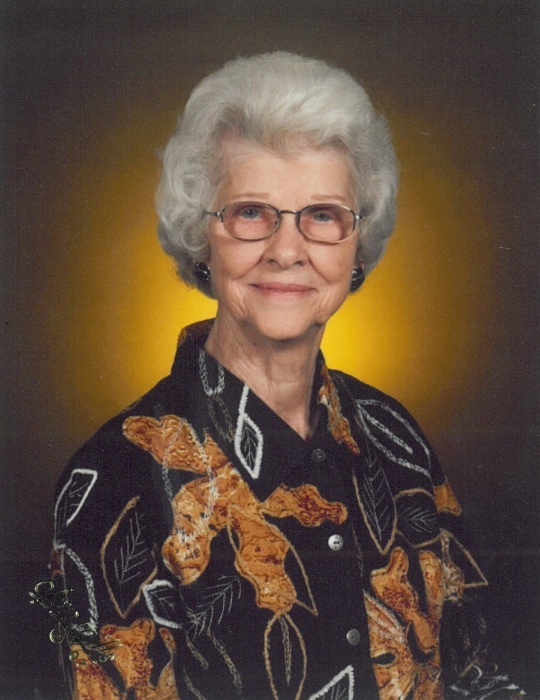 Mildred Farlow Pritchett, age 99, formerly of Hammond and Dyer, passed away Saturday, April 6, 2019. Mildred was a resident at Hartsfield Village at the time of her passing. A friendly, people person, Mildred Pritchett worked at the Hammond Chamber of Commerce for 23 years – starting in 1968. She started as secretary to the Chamber Executive and eventually served as acting Executive of the Chamber on two occasions while searches were underway for a new Chamber Executive. Upon her retirement from the Chamber of Commerce in 1991, she was recruited to work at Citizens Financial Services Company, where she worked for another 9 years - primarily at the Ridge Road office in Munster. She retired from Citizens in 2000 at age 80. Mildred’s son Mike said “My Mother could, with her sunny smile and outgoing disposition, walk into a room full of strangers and soon be friends with everyone in the room”. Most people knew her as Millie. Mildred was born Mildred Marie Farlow in Paoli, Indiana, in 1919. Harry Pritchett was born in Lawrence County, Indiana, in 1914. Harry Pritchett’s family moved to Paoli because of Harry’s father’s work on the Monon railroad. Mildred and Harry knew each other as children, and both graduated from Paoli High School. They were married in 1940. Mildred and Harry Pritchett had been married for 59 years when Harry passed away in 2000 from health complications following surgery after a fall from a ladder. Mildred and Harry moved from Paoli to Hammond in 1946 so that Harry could start his work at Atlas Blacktop Company, where he was superintendent until his retirement in 1982. After his retirement Harry remained very active for the remainder of his life by working at his son’s commercial real estate business, spending time with his grandchildren, making furniture as part of his wood working hobby, and collecting antique wood working tools. Harry was a Mason, a 32nd degree member of the Scottish Rite, and a member of the Shriners’ Orak Temple. Mildred and Harry were members of the Friends Church (also known as the Quaker Church) in Paoli. When they moved to Hammond they were active in the First Methodist Church of Hammond, but they did not join the Methodist Church, as they continued their life-long membership in the Quaker Church in Paoli. Mildred was known in the community for her volunteer work –especially in the 1960s when she was Co-Chairman of Project Alert which was an organization of 250 area citizens formed to help make Hammond a better place in which to do business. In the 1950’s Mildred served several terms as president of the Hammond Junior Women’s Club and also as Vice President of the Indiana Federation of the Indiana Junior Women’s Clubs. Mildred is a Past High Priestess of the Ladies Oriental Shrine of North America, Awalim Court No. 9; a member of the PEO Sisterhood, Chapter C.J. ; a Hammond Gamma Associate of Tri-Kappa; a member of the Order of the Eastern Star, Chapter 249; and a former member of the Daughters of the American Revolution. Mildred was a frequent volunteer at Community Hospital. When Harry was in the construction business and no matter how early the hour, Mildred always prepared a full and hearty breakfast for Harry before he left for work. Mildred’s own favorite breakfast was cookies or cake most mornings, and she shared this preference with her family by baking snickerdoodles and chocolate chip cookies. When the grandchildren were growing up, the family would gather in Hammond on most Sunday nights for pizza night. Mildred always enjoyed her time with her children, grandchildren, and great grandchild. When her children were in grade school, Mildred was usually a Home Room Mother. Later she loved to talk about her grandchildren’s activities to anyone who would listen, even when the grandchildren lived on the other side of the country, in Boston, New York, or California. Mildred lived at Hartsfield Village in Munster, Indiana, from 2001 until the time of her passing. Mildred is also a past president of the Hartsfield Village Residents’ Association. Mildred and Harry Pritchett have two children: Michael (Elaine) Pritchett and Patrice (Philip) Smith; three grandchildren: Derek (Kari) Smith, Drew Smith, and Susan Pritchett (Steve Alden); and one great grandchild: Emily Pritchett Alden. Mildred was born Mildred Marie Farlow in Paoli, Indiana, to Paul and Clara Farlow. Mildred’s seven siblings, all of whom have pre-deceased her, were: Thelma Hardman, Ruth Uyesugi, Raymond, Russel, Dorothy Geralde, Mary Ethel and Robert. Mary Ethel and Robert passed away in 1918 at ages 5 and 3 years old, respectively. A small ceremony has been held for the immediate family. Memorial donations can be made to Shriners Hospital (www.shrinershospitalforchildren.org) or to Harbor Light Hospice (www.harborlighthospice.com) of Crown Point, Indiana.